She was understandably cautious before she began sharing photos of her baby son, Baltie, online. 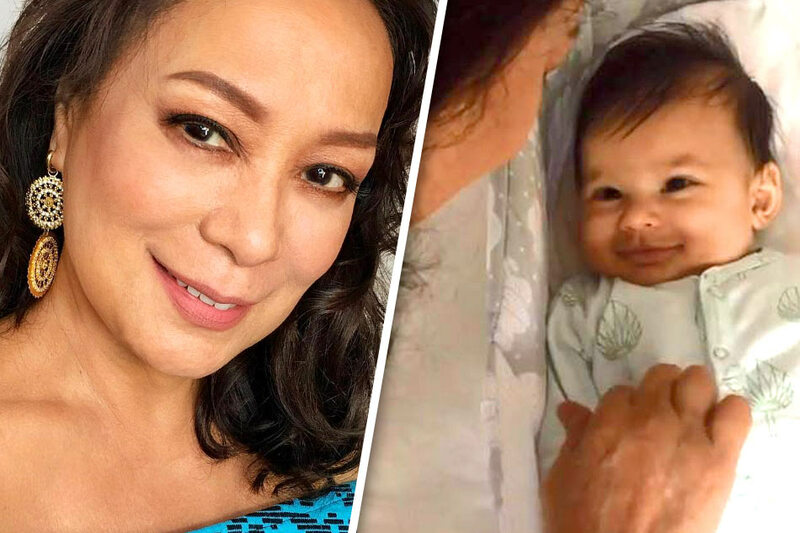 But when actress Isabelle Daza started becoming less and less scared –finally posting this week on Instagram an adorable close-up shot of her baby– Daza's own mother, Gloria Diaz, followed suit. The former Miss Universe winner was every inch the doting grandma as she posted a video of her and Baltie talking, repeatedly calling him a "good boy" and asking if he was hungry. This is the first time Diaz shared a video of her grandson. In an interview with ABS-CBN News last year, she said that while she's excited to become one, she doesn't want to be called "lola." "Lola Gloria, it's too long," she said, adding that "Gloria" is enough. Daza gave birth last March. Baltie is her first baby with husband, Adrien Semblat. Of her apprehension in sharing photos of their little bundle of joy, she said: "I don’t know why but I felt so instinctively protective when he was born, like I wanted to shelter him from the world." "I wanted to keep these first few months with him to myself, like keeping these moments precious."